This chapter offers a reading of the prolific Guyanese writer Wilson Harris, focusing in particular on his early prose works of the 1960s, collected as The Guyana Quartet. The chapter asserts that the uniqueness of Harris’s writing, and his insights into the politics of decolonisation, can be rooted in his archaeological exploration of the language history of Guyana and of the Caribbean more broadly. Williams argues that Harris can be read alongside bodies of Anglophone and Francophone Caribbean thought, but stands out in his scepticism towards Creole politics and his foregrounding of colonisation as a moment of Babelic rupture. 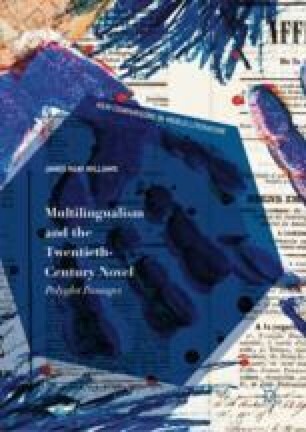 Multilingualism, in Harris’s work, is both a traumatic reminder of the conditions of empire and of slavery, and a condition which can be harnessed on the way to an immanent postcolonial subjectivity.